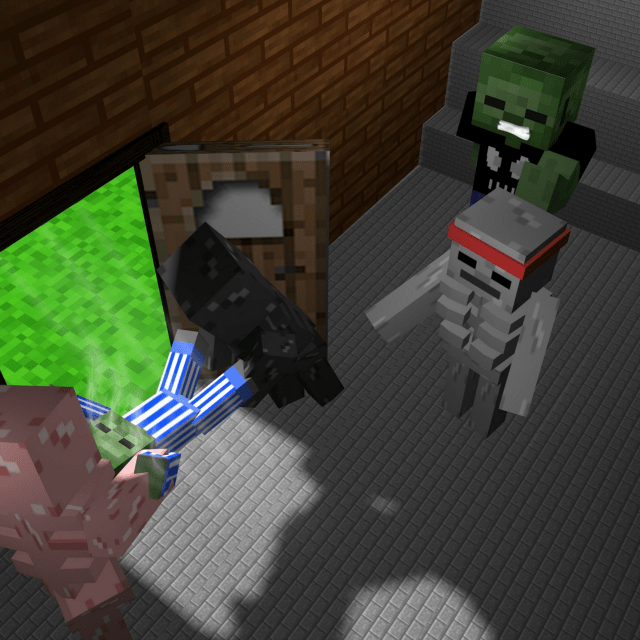 My boys are crazy about Minecraft, I haven’t met a kid yet who isn’t! 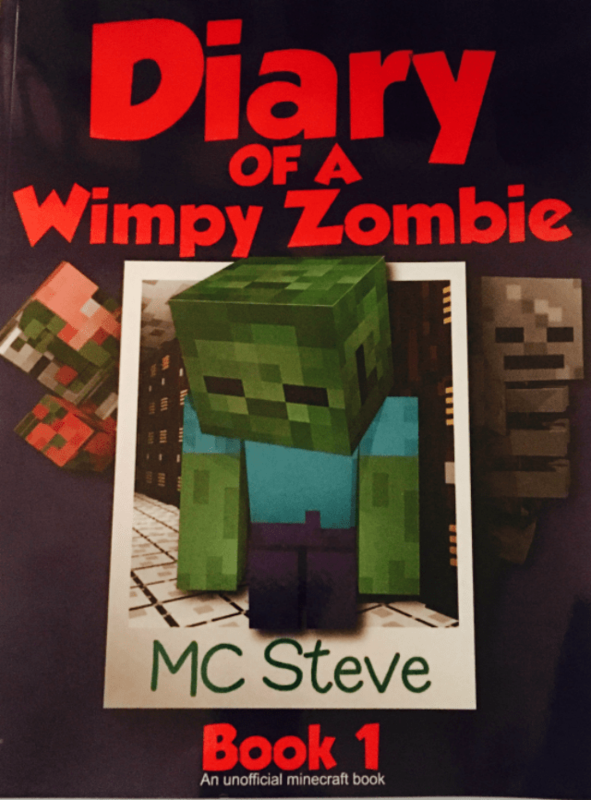 So when MC Steve asked us to give a review of his Minecraft book Diary Of A Wimpy Zombie: Book 1. I jumped at the chance because I knew they would devour it. This paperback book has 24 chapters, well I wouldn’t call them chapters really, maybe DAYS is more like it since it is a diary after all. It has over 65 pages! Book 1 has black and white pictures spread throughout the book, I would have liked to see some color but it doesn’t take away anything from the story. It starts out on a Monday night when Zombulon or Z for short, has to go to school. 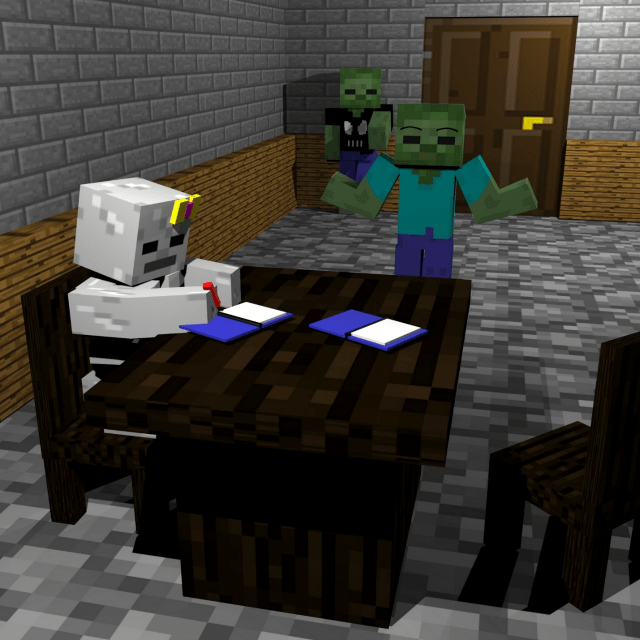 Apparently, zombies have to go to night school or they will burn up in the sun. 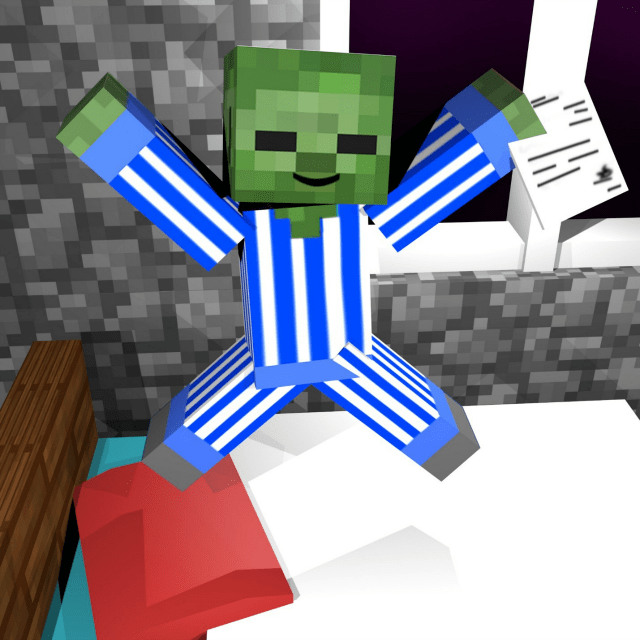 Z complains about this, saying that he’s sure the human kids who have to wake up at the crack of dawn feel lucky. I think my kids would love to go to night school, they hate waking up early. I’m sure if your kids like Minecraft they would surely like this book. Both of my boys got a kick out of it, it’s nice to hear them laugh at the story. It contains the classic characters that your kids have come to know; like Steve, chickens, and Zombies of course!